Cultivate a happy, healthy community. 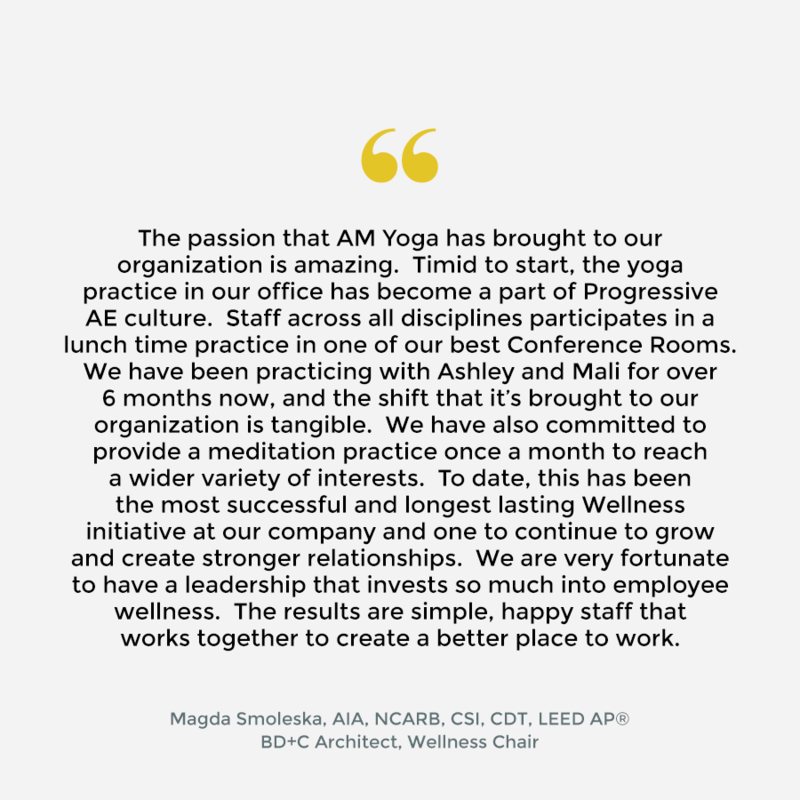 Our signature teAM program utilizes AM’s approach for any size organization. and meditation to alleviate stress, increase productivity, spark creativity, and boost teamwork. Start with a 30 minute experience to introduce teAM – get your team excited about the benefits of bringing teAM to your organization. *Perfect for a lunch hour gathering. We offer teAM Signature classes for 30 and 60 minutes, as well as teAM development and specialized Labs. Sign up to receive discounted AM studio memberships for your team.